Internationally recognised Irish muralist Aches began to create work in his teens and has gone on to produce murals throughout Ireland and across the world, including Denmark, Spain, England and the USA. As a result of a two month long residency at Atelier Maser, Aches has put together his first solo exhibition Distorted Identity, exploring the concept of identity in the digital age. 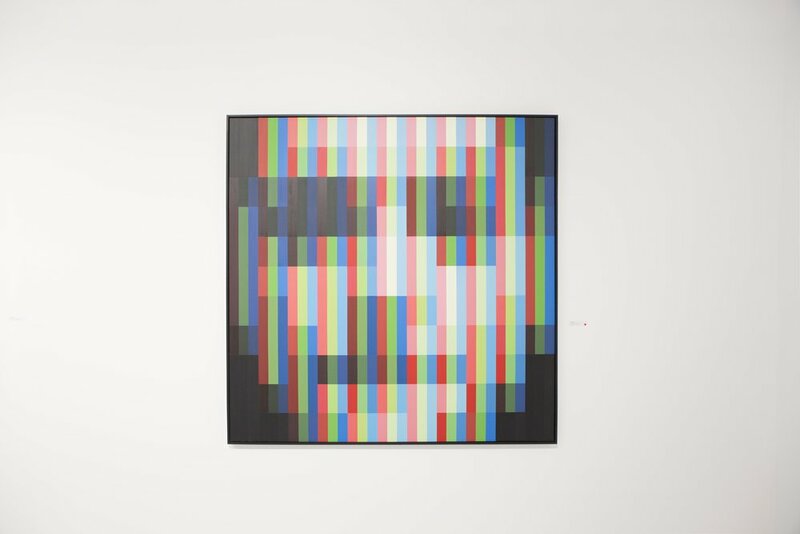 Aches has produced new works for the show which utilise his popular pixelation and glitching techniques. 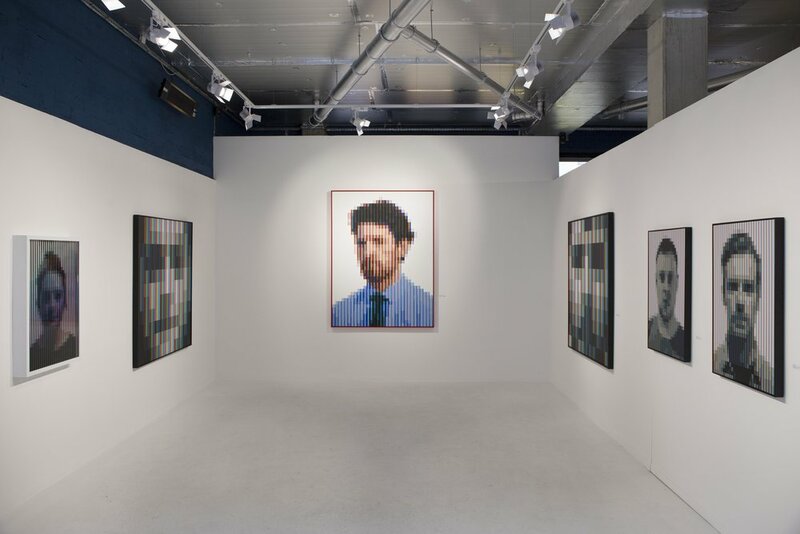 He distorts the colour and lines of his portraits in a commentary on the digital age and our use of technology. He encourages the viewers to take photographs of his portraits with their mobile phones, as it clarifies the image. 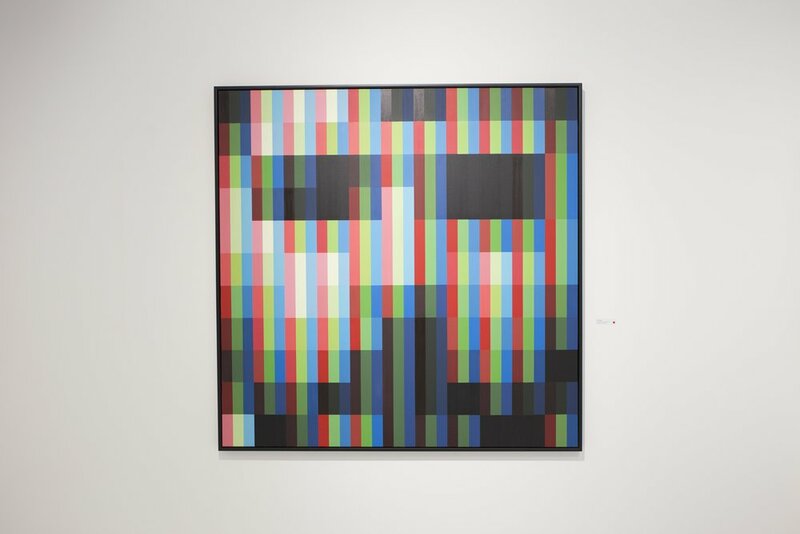 These portraits ares described as ‘anti-alias’ and ‘sub-pixel’, an effect achieved through his precise and methodical approach of using a gridded system of binary colour blocking. A View of ‘Distorted Identity’, 2019, Atelier Maser. ‘DI_04’, 2019, Spray Paint on Canvas and Glass, 70 x 100 cm, Atelier Maser. ‘DI_04’ (Detail), 2019, Spray Paint on Canvas and Glass, 70 x 100 cm, Atelier Maser. ‘DI_02’, 2019, Spray Paint on Canvas, 160 x 160 cm, Atelier Maser. ‘DI_03’, 2019, Spray Paint on Canvas, 160 x 160 cm, Atelier Maser. 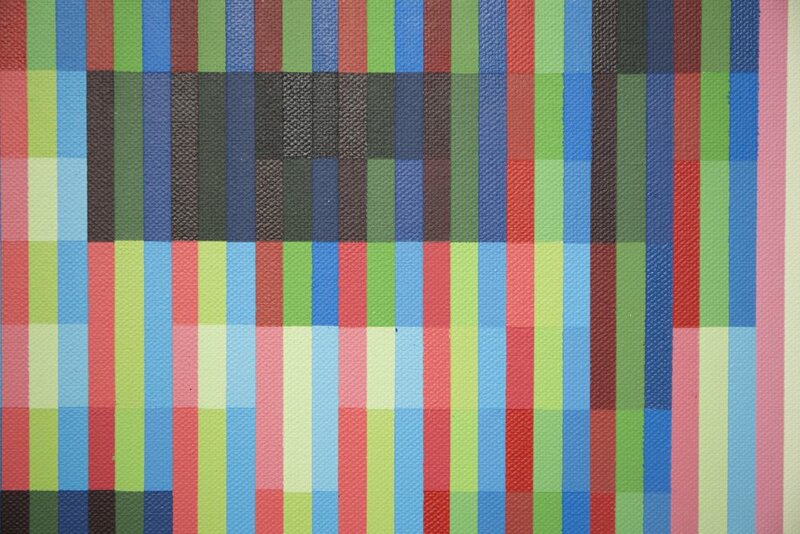 ‘DI_06’ (Detail), 2019, Spray Paint on Canvas, 70 x 100 cm, Atelier Maser. Left to Right: ‘DI_07’, ‘DI_06’, ‘DI_05’, 2019, Spray Paint on Canvas, 160 x 160 cm, Atelier Maser. Aches, Distorted Identity, 14th March - 5th April 2019, Atelier Maser.